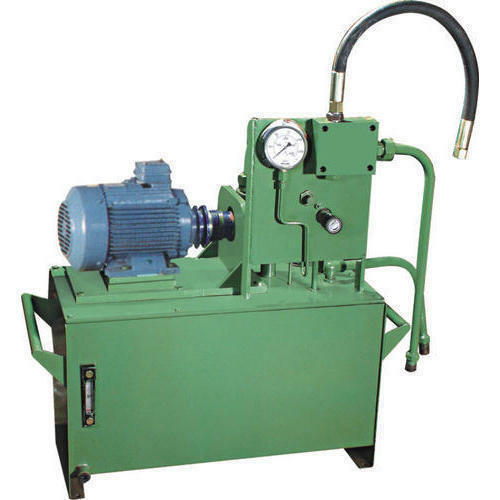 With sincere intentions to preserve and uplift our reputation in the market, we are offering a comprehensive assortment of Mild Steel Oil Hydraulic Press machines are manufactured in such a way that we are able to maintain globally accepted standards. Owing to their excellent features, these machines are largely demanded for making cement tiles. Additionally, clients can avail the offered range from us in a wide range of specifications. Established in the year 2004, we, “Prashant Machine Tools”, are among one of the prestigious organizations in this arena, engaged in manufacturing, trading and exporting a quality range of Industrial Machinery, Tile Molds and High Pressure Machine. The product range offered by us consists of Chequred Tiles moulds, Inter Locking Paver Block Module, High Pressure 70 Tons, Manual High Pressure Fly Ash Bricks Machine, Manual High Pressure With Fly Ash Bricks Machine, Plywood Pallets and others. Moreover, we make sure to employ the most sophisticated facilities for carrying out production related tasks in the most efficient and effective manner. Our range of machinery and moulds is widely appreciated for its durability, low maintenance and robust construction. With an aim to fulfill the growing aspirations of the patrons across the region, we have developed a sound infrastructure facility. Our manufacturing unit is benefited with latest machinery and tools that are essential for carrying out smooth and hassle-free production process. Our machines are regularly calibrated and upgraded by our team of professionals, which benefits us in maintaining an excellent rate of production. We are supported by a team of dexterous professional, who monitor the entire process, with an aim to develop qualitative products. All our experts work in close coordination amongst one another to attain the organizational motives within the given time frame and with ease. Owing to the strong blend of our hardworking professionals and in house infrastructure facility, we have gained maximum level of client satisfaction. Under the astute guidance of our mentor, 'Mr. Vashant Bhai', we have inculcated a commendable position in this highly competitive market. His detailed knowledge, managerial skills, vast experience and commitment towards client satisfaction, have enabled us to master numerous patrons across the region. We are looking for enquiries from all over world.